This CCX debuted in the U.S.A. where it was displayed at the Las Vegas SEMA Show in November 2006. 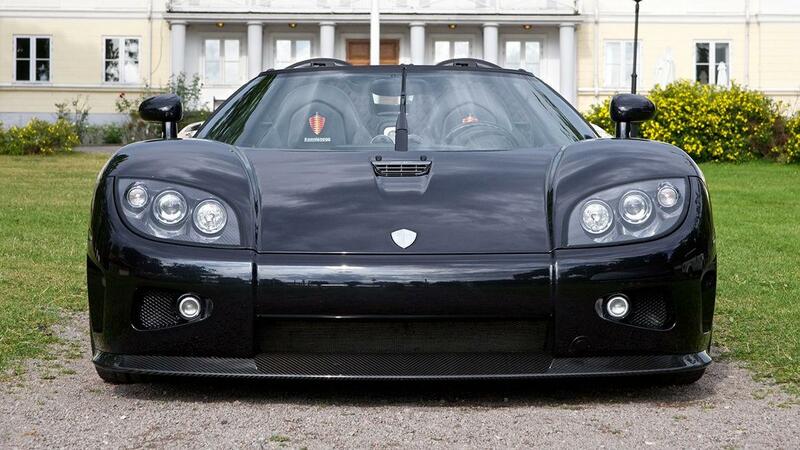 During winter 2006/2007, Koenigsegg had the CCX model tested by the Swedish Environmental Engineering Society. The name might suggest a test in order to measure the influence a Koenigsegg CCX has on the environment, but it is actually the other way around. Therefore, a series of tests and calculations was conducted in order to see how well the CCX could withstand the expected environmental exposure like moisture, temperature, corrosion, vibration and shock. It is believed that 034 was used for calibration purposes on which to base the calculations. 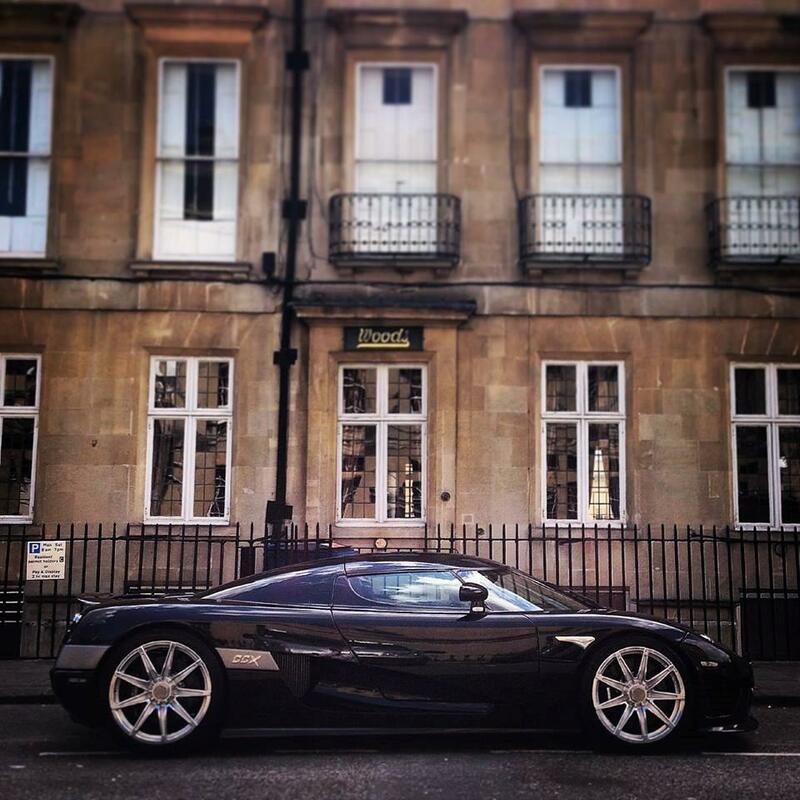 This Koenigsegg was delivered to its first owner, Idar Volvik, at the beginning of 2007. The owner kept 034 in Spain, where it has been frequently spotted in Puerto Banus and Marbella as well as Malaga during 2007 and 2008. And 034 was spotted in Monaco during the Top Marques Monaco event in April 2007 too. In November 2008, this CCX was offered for sale at Sportwagen Marbella but the car did not sell over winter and was used again from spring 2009 onwards and seen in and near Marbella. Unfortunately there is a two year gap, from May 2010 - July 2012, in the car's history. 034 has not been spotted in this period but showed up in Sweden afterwards. It attended several events during the second half of 2012 like Båstad in July, Sportsbildagen Vestervik and Lergökarallyt, both in August and Stockholm Bilfestival in September of 2012. In the same month, 034 was listed for sale at SuperVettura, the official Koenigsegg representative for the U.K., but the car did not go to SuperVettura but stayed at the factory in Sweden for almost two more years. In July of 2014 however, 034 did go to SuperVettura. It was added to the Sold Car section of their webpage late 2014 and therefore most likely found a new owner! 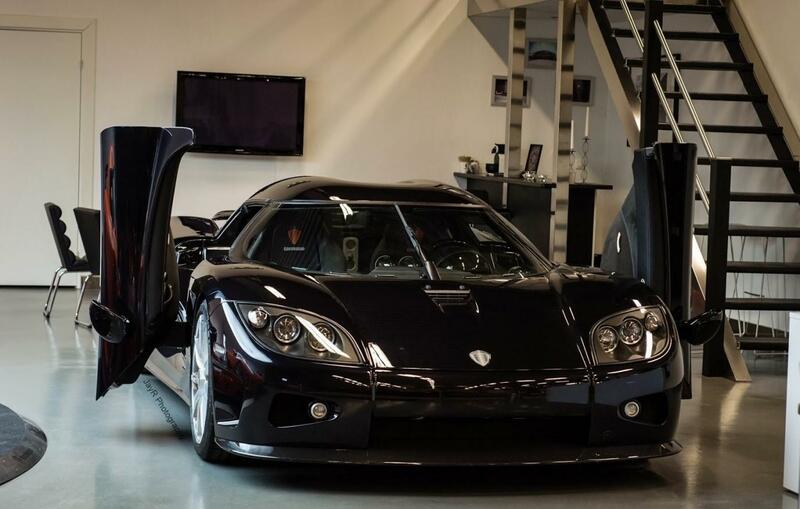 Black was chosen as exterior color for this CCX. The front splitter and side sills are not black but clear coated carbon, as is the Top Gear style rear wing. This CCX was initially fitted with the 5-hole dial wheels, which were standard for the CCX at the time. The CCX script at the badges on the sides were silver from the start. Apart from fitting the 9-spoke forged wheels and a silver colored Koenigsegg badge on the front bonnet, no modifications were made during its life, although some Dynapel stickers were briefly added on the car. Black was a popular exterior color it seems as four out of the first six customer CCX(R)'s were black. This makes it sometimes difficult to distinguish this CCX from the other black ones, especially 037, as that one also shares the interior color with 034. When 034 and 037 left the factory, they were identical twins. There was nothing, exterior wise, to separate them. This has now changed as 034 changed wheels and got a silver colored Koenigsegg badge on the front bonnet. Car 037 changed too over the years, as it first received some silver stripes on the front bonnet and later a light blue wrap. 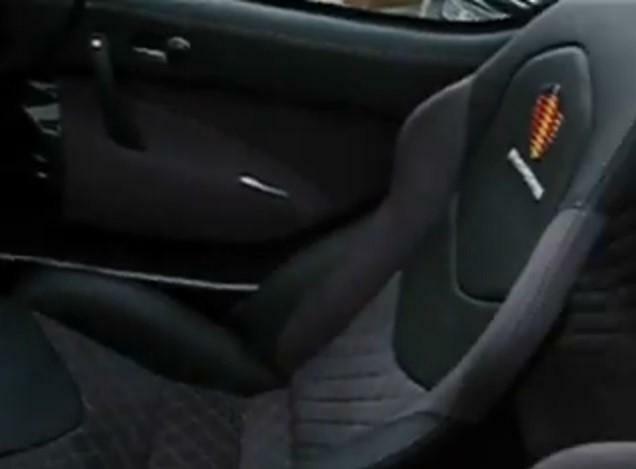 The interior color of 034 is the same as the exterior color, although there is some grey alcantara on the seats to break the all black appearance. 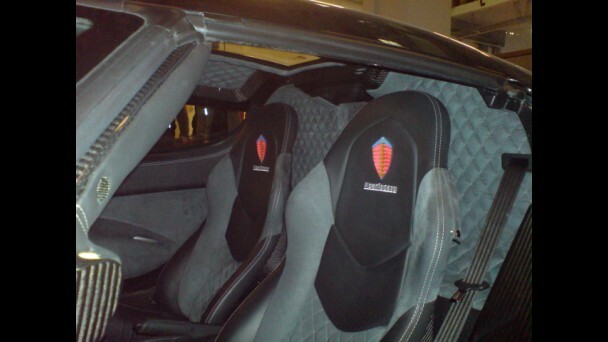 Contrast stitching in silver, with diamond pattern on the seats, the rear bulkhead as well as the ceiling. 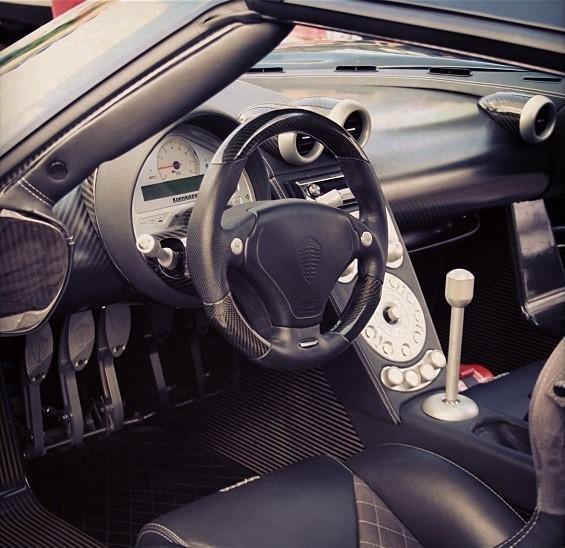 The top of the dashboard is not clad with leather or alcantara but done in bare carbon. Pretty amazing, given the fact that there are so many interior color options, that 037 has the exact same color combination as this CCX. Even the radio is the same. 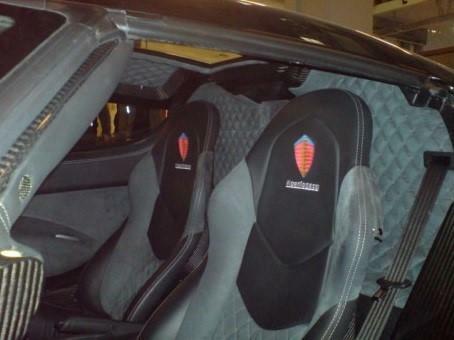 There is a way though to separate these two as only the first three customer Koenigsegg CCXs had Sparco embroidered on the seats. Of these, 034 is the last one to have this. 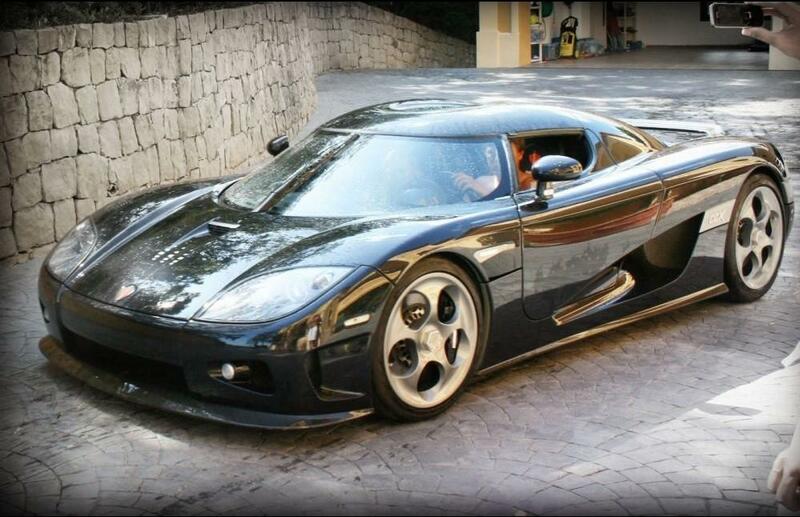 This CCX has the standard aluminum 4.7 liter V8 CCX engine with 4 valves per cylinder and double overhead camshafts. The engine breathes through a carbon fibre intake manifold with optimised intake tracts and is fitted with twin Rotrex centrifugal superchargers with response system. It delivers 806 Bhp at 7,000 rpm and has a maximum torque: of 920 Nm (693 ft/lb) at 5500 rpm. It is mated to a transversal 6-Speed manual gearbox with final ratio 3,364 and accommodated with a torque sensitive limited slip differential.